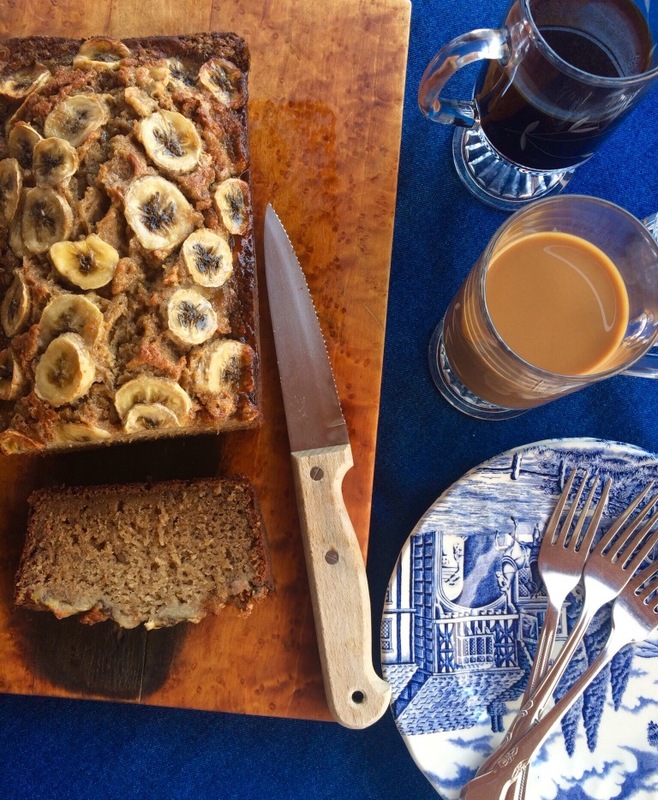 It has a beautiful color on the outside, the banana flavor is just right, and it’s super moist….. it’s everything you want in a banana bread. This is my friend Sarah’s recipe. Lately, she has been making this bread for my friends and me. Every time she makes it, I’m amazed at how perfect it is. I finally begged her to come over one afternoon and bake it with me. 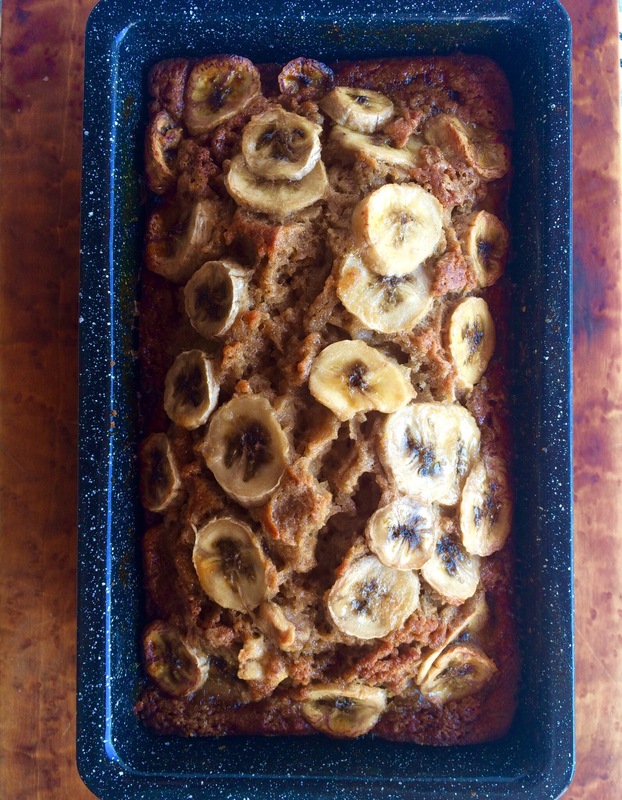 So now that I have the recipe, I can share it with you….. and your search for the best banana bread is over. Banana bread is just one of those classic treats that everyone loves. Plus, it’s super easy to make. I always love to whip up a loaf whenever I have overripe bananas. It’s perfect to have for breakfast or like us, with our afternoon coffee. You must try this bread sliced and toasted……so good! 1)This is the loaf pan Sarah uses. 2)I love the sliced banana on top it adds extra moisture to the bread. Preheat oven to 350 degrees F. Spray a loaf pan with cooking spray. In a large mixing bowl cream together the softened butter and brown sugar until light and fluffy. Beat in eggs one at time. Add in the dry ingredients; beat well. Mix in mashed banana and vanilla. Pour the batter into prepared loaf pan, arrange the sliced banana on top and then sprinkle with brown sugar. Bake in preheated oven for 1 hour and 10 minutes. I turned the bread halfway through baking. Bread is done when a toothpick inserted into the center comes out clean. Let the bread cool in the pan for 10 minutes before turning it out onto a cooling rack. Enjoy !